Two women accused of killing the half-brother of North Korea's leader have been told there is sufficient evidence for them to go on trial. Siti Aisyah and Doan Thi Thuong are accused of smearing the toxic nerve agent VX on Kim Jong-nam's face in a Malaysia airport last year. They have said they did not know they were killing Mr Kim and had been told they were taking part in a TV prank. They could face the death penalty if convicted. Four North Korean men also charged over the murder are still at large. What happened in the airport? Mr Kim, the estranged half-brother of Kim Jong-un, had been waiting to board a flight from Kuala Lumpur to Macau on 13 February last year when two women approached him in the departure area. CCTV footage shows one woman placing her hands over his face before she and the other woman leave the scene. Mr Kim is then seen seeking medical help - he told staff a chemical had been sprayed on him. He died on the way to hospital from what was later found to have been exposure to the VX, one of the most toxic of all known chemical agents. What is the women's defence? Indonesian Siti Aisyah and Doan Thi Huong from Vietnam - both in their 20s - have said they were innocent victims of an elaborate North Korean plot. "She knows nothing, she was fooled. The case was made up," Ms Aisyah's father told AFP on Thursday. Their lawyers say that in the days before Mr Kim's death, the women had been paid to take part in pranks where they wiped liquid on people at airports, hotels and shopping malls. They thought the airport was just another prank. 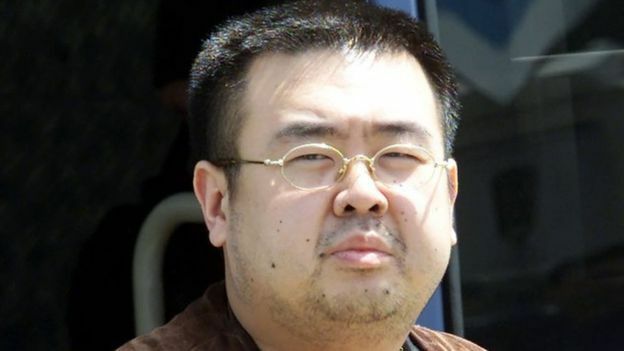 Their lawyers had expressed confidence that the court would see they had no motive to kill Mr Kim. 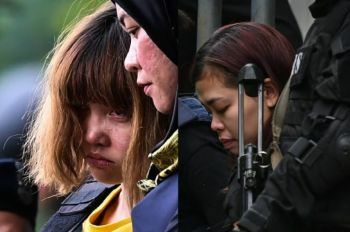 But Judge Azmi Ariffin said there was enough evidence to suggest it was "a well-planned conspiracy between the women and the four North Koreans at large". He said there was no hidden crew and no attempt to bring the target in on the joke afterwards, and that the footage "showed that they had the knowledge that the liquid on their hands was toxic". They will now go on trial for murder and could be hanged if found guilty. Kim Jong-nam was the older half-brother of North Korea's authoritarian ruler Kim Jong-un. He was once seen as a future leader of the isolated country, but when his father died, was bypassed in favour of the younger Kim. He had spoken out in the past against his family's dynastic control of North Korea and in a 2012 book was quoted as saying he believed his half-brother lacked leadership qualities. Did this have anything to do with North Korea? North Korea has fiercely denied any involvement in the killing. Four men - believed to be North Koreans who left Malaysia on the day of the murder - have also been charged in the case, but have not been found. Judge Azmi Ariffin said on Thursday: "I cannot rule out that this could be a political assassination. Despite that, I am unable to confirm this fact."